We all love smart TVs because they are able to do so many of the things we need/would want them to do but that kind of thing should come with a steep price, right? Well, considering prices on this kind of thing are much lower than they have been in the past there has to be something driving the change. 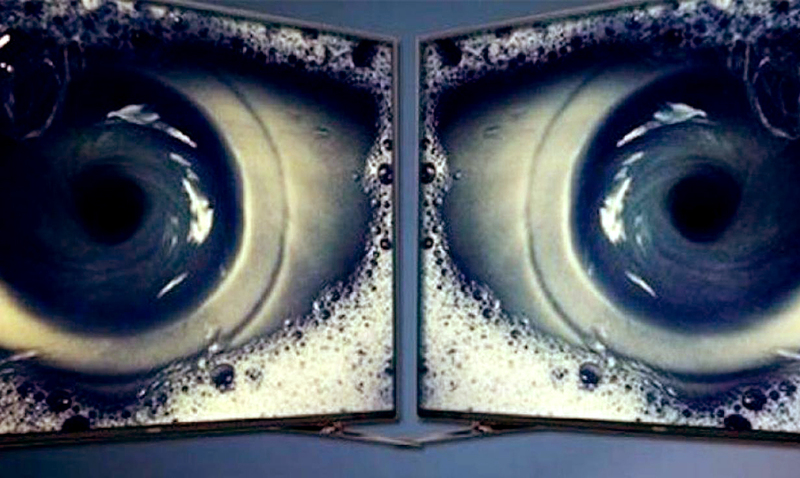 Chances are that even if you own a smart TV yourself, you don’t know that the companies behind them are collecting data about you and selling that data to third parties. The information gained from our use evens out the price for the manufacturers and thus we are able to get huge TVs that can do mind-blowing things for roughly 500 bucks. This topic is one that has been blowing up following an interview that The Verge’s podcast (the Vergecast) recently had with Vizio’s CTO Bill Baxter. You see the data gained can and usually does show what kinds of movies or shows you watch and which ads you skip or do not skip. This helping the companies behind your televisions to be able to get a pretty good idea of who you are and what you like. That information is very valuable. Baxter told the Verge that he thinks Vizio is the industry leader when it comes to disclosing what tracking is happening and making sure the users are opting in or out during their setup process. That being said, he also noted that because of how the television industry is, companies like Vizio, in general, have to run this kind of thing to keep the prices as low as they currently are. While you do get what you pay for, you also get a little more than you might understand right off the bat but learning about it is not as ‘hard’ as some people might think. Sure, you’re not being watching through a secret camera, but you are being monitored in some ways through your usage. “So look, it’s not just about data collection. It’s about post-purchase monetization of the TV. It’s kind of like we use Facebook, the social media giant knows what we’re clicking on and what we’re showing interest in. They target ads to us and work to try and market things more catered to our needs/wants. While many are very concerned with the whole idea, it isn’t that outlandish. To learn more about this and hear Baxter’s full interview click here.